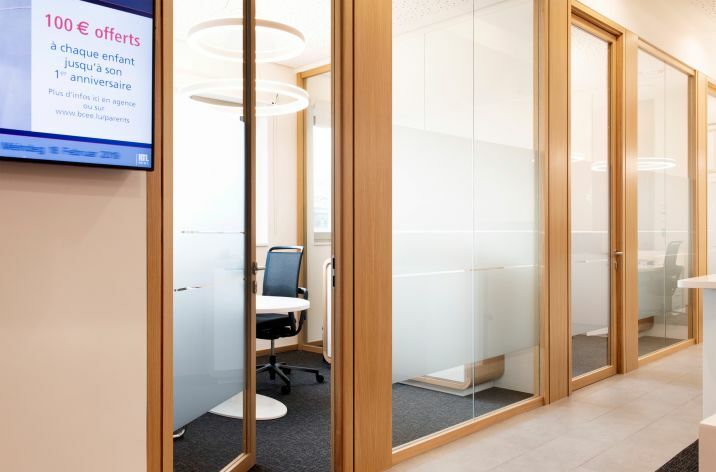 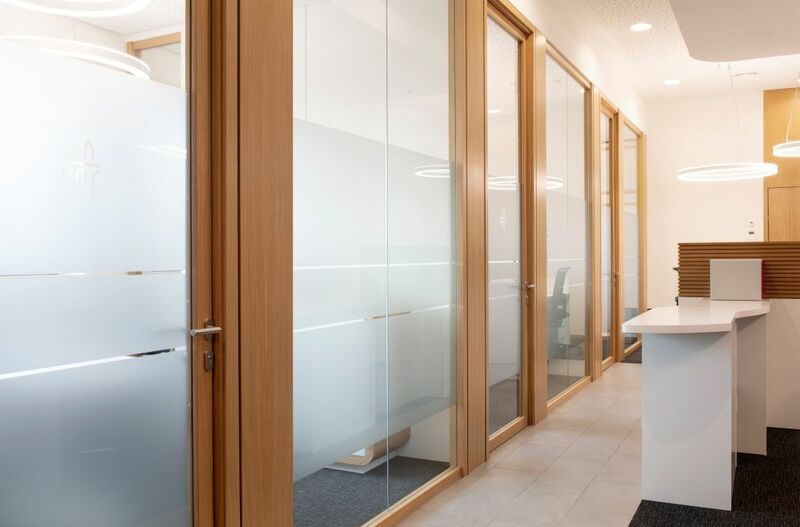 BCEE moved into its new premises in November 2018 located in the City Concorde extension. 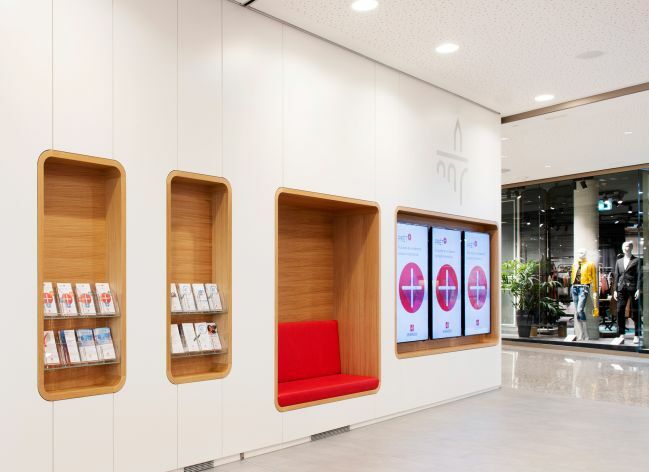 The bank’s corporate design was retained and improved by new spatial elements. 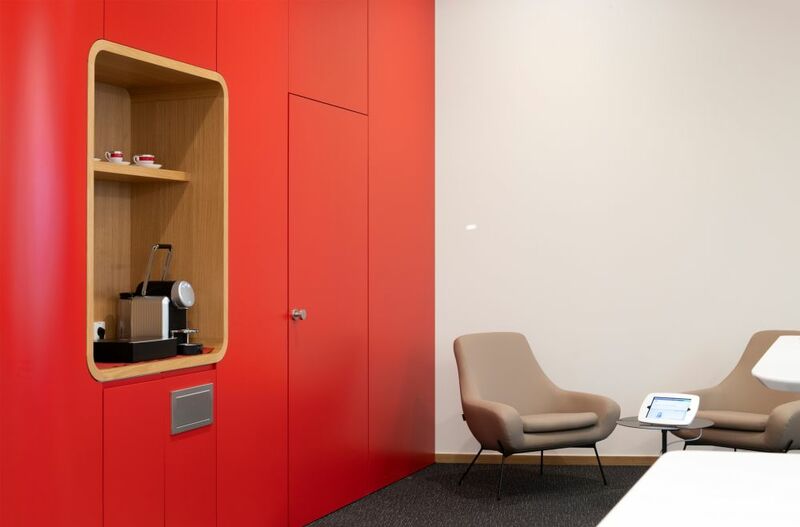 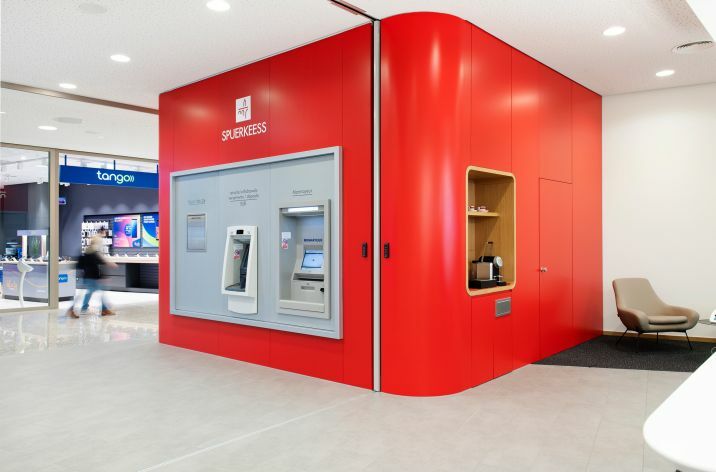 Eye-catching red surfaces, combined with natural wood elements and an objective colour scheme send out an unmistakable signal calling to mind the bank. Seating integrated in the wall and the unambiguous outlines of the functional zones are inviting and clear. 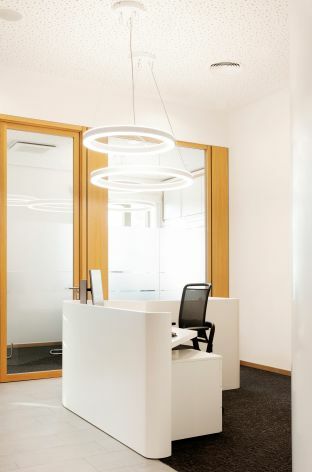 The effect is supported by various architectural elements and the indirect light used. Office workstations with natural light and modern ergonomic furniture provide optimal working conditions for employees.